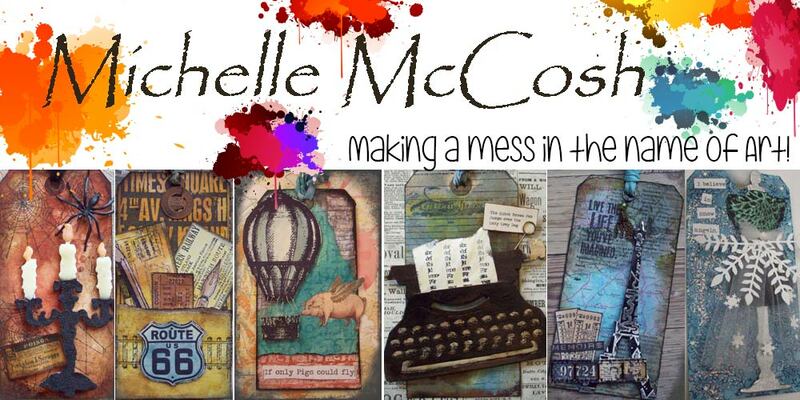 I started with a magazine page and scraped gesso across the background using an old credit card. I used lots of different colors and then added some random stenciling to the paper using black and white paints. I punched circles and added them to my book. Now I just have to journal. Dirty stencils can be a work of art. I don’t clean my stencils when I use them and they eventually turn into works of art.